Firstly, it’s a constant in my life, we always go home for a cup of tea, we always have and always will. after getting up in the morning, I wouldn’t function otherwise! with a toddler…. need I say more?! Tea and coffee make me function and survive the day! I long for that cup of tea when Toddler H has her nap…. I cling to the hope she will?nap all day for that reason – does that make me a bad mummy? on a warm day – I always thought my mum was MAD having tea on holiday or on warm days, but it is refreshing! Try it!! I know, this kind of links to one of the posts above, but putting the world to rights and having a good old natter is such an important point and outcome of tea, it must have it’s own point too! If anything happens in life, we have a cup of tea. Yes, sometimes it’s a wine or even champagne occasion, but usually tea comes first especially if we might have to drive! give me a cup of tea and I’ll solve that problem that’s been bugging you! * Please note you may substitute tea for coffee or hot chocolate and sometimes even cake or?biscuits …. Just waiting for my morning tea and back from #KCACOLS! Tea rules the world. I too have just written a blog about my love of tea. Nothing better than a cuppa with good friends. You see, for me it is REAL coffee. I do like tea but it always loses out to coffee…Until someone makes me a cup of tea and then I wonder why I don’t have tea more often! P.S. The tea is refreshing on a warm day is something my hubbies parents are always saying…It makes me chuckle because it never makes sense to me. I think this an especially British thing, if there is a problem, a celebration, an issue, a visitor – there is always tea. Tea is my first and last drink of each day. Its a calmer, soother and delicious. My daughter got a little bit obsessed with the different flavours of loose leaf tea once and put them all in envelopes for show and tell! I always look forward to my afternoon tea. I call that my ‘happy hour’. And I always meet up with my friends over tea .. AND scones!!! Mommy’s Little Princesses recently posted…Golden Acre Park…. 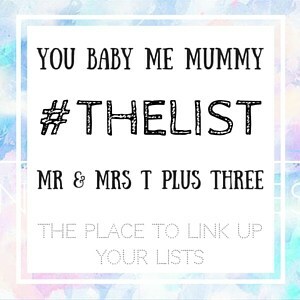 Mrs Taylor recently posted…Mums are you ‘summer ready’? It’s so true tea can be so calming and refreshing! I always love a cup of tea… and recently a cup of coffee as well to keep me awake. Lovely post! 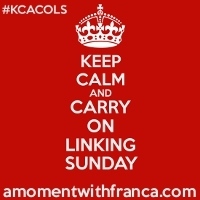 #KCACOLS. Jules Pondering Parenthood recently posted…Secret Saviours Anti Strech Mark Pack – The (Almost) Final Results! Oh I totally hear you on this! I am a total tea-lover. I don’t do coffee, but I don’t think I could live without tea. All of life’s problems seem a little less difficult when they are pondered over a nice cup of tea. Tea is the classic crisis drink and distraction technique. Weirdly, I’ve gone off tea now and moved to coffee. I blame my consumption of American cop shows for this! Cheryl @ Tea or Wine recently posted…End of The Pushchair Era! Absolutely, the need for a warm drink is important for me too, as a comforter aswell as anything else. its a great way to relax too. I am obsessed with tea and sometimes I will even mix it up and drink Earl Grey. It must be made with hot water first though, and then the milk! Tammymum recently posted…Baby crack – (baby products) helping you through the baby years! Maria recently posted…Are you a Parentpreneur? I completely agree! Both my husband and I love tea! Before I had Dot, I wasn’t that fussed, but I can’t get enough of it now. On average, I must drink at least 3 or 4 cups in a day, if not more! Tips for moving house with a baby on Toddler puzzles: Orchard Toys Once Upon A Time puzzle?